Thanks to unprecedented growth in e-commerce, the startup dreams of many are coming true. Hundreds of business professionals are starting their own e-commerce ventures with minimum financial backup. And if you’re someone who is nurturing the same dream, then you’re at the right place. A turnkey e-commerce solution, BoostmySale builds your comprehensive online store in a very short period of time. Apart from building an user-friendly store, it manages your products and pushes them to various social channels to promote your store and boost your sales. It is one of the only few platforms that has managed to partner with e-commerce giants like eBay and Amazon in the entire Asia-Pacific region. One of the most trusted e-commerce solutions, Shopify, as the name suggests, can look after all your e-commerce requirements. 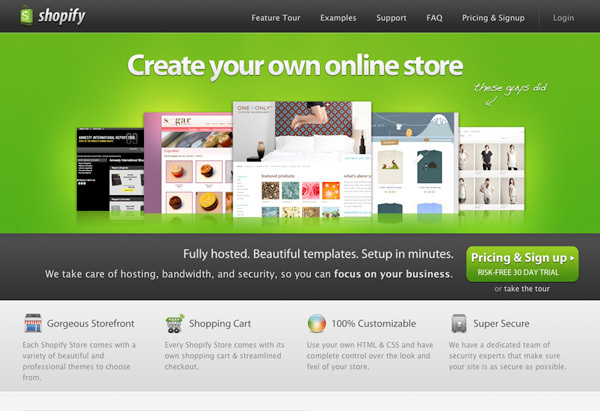 Right from launching your store to running it, Shopify does it all. Apart from, this e-commerce software also comes with a web host, inventory management, a website builder, marketing tools, additional back-end functionality, customer relationship management (CRM), and of course, more than 1,000 apps, all available in their app store. Shopify is easy to use and requires zero technical know-how from your end. With Shopify, you can have your online store running instantly. Shopify happens to be one of the most popular choices in the market and an ideal choice for you, if scalability is one factor that you want to consider. You can upload an unlimited number of products along with their multiple variations, making it ideal for businesses of all sizes. Offering full customisation, Magento is one of the most sought-after e-commerce solutions, used by many fast-growing businesses worldwide. It’s an open-source, advanced e-commerce solution and offers a lot of flexibility and complete customisation. Both a paid and free version of Magento is available, making it ideal for startups. While you don’t have to pay monthly subscription, there is a limit to the number of products you can upload on your store, and also the number of users and transactions available to you. As a startup, you can opt for the free version of Magento. It’s supported by the Magento Community, a huge number of Magento users who are always there to help you, so that you can modify it as and when required. SquareSpace is another affordable option that you have and has been designed for only small businesses. You can choose from its long list of templates and create beautiful layouts without knowing the ‘c’ of coding. You can upload an unlimited number of products and have full control over your entire store. Ideal for people who want to run an e-commerce store from the comforts of their homes. One of the smallest e-commerce platforms in India is Kartrocket, a startup from the capital city, New Delhi. It has more than 2,000 stores running on it and is one of the newest players in the market. It is ideal for Indian-customer based solutions and offers a good array of web templates to choose from. It offers free payment gateway integration and automated shipping as well.